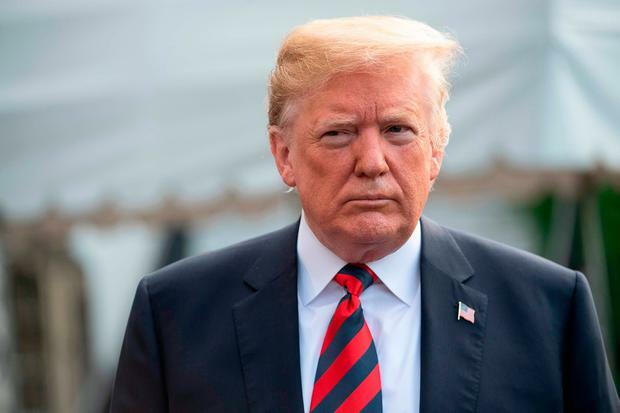 The New York attorney general has asked a judge to close down the Trump Foundation, accusing it of “persistently illegal conduct” and campaign funding violations, and to bar Donald Trump from managing a charity for 10 years. The US president is accused of using charity money to buy a $10,000 (€8,600) painting of himself to hang at one of his golf clubs, and of resolving a row about Mar-a-Lago with a donation to charity, made with foundation funds. It is illegal to spend charity funds on “private interests”, and also breaks tax laws. Mr Trump is also accused of using a fundraiser to drum up political support for his presidential campaign. Barbara Underwood, the attorney general, submitted the documents before the state supreme court in Manhattan yesterday, after a two-year investigation. She asked that the foundation’s remaining $1m in assets be distributed to other charities and that Mr Trump pay at least $2.8m (€2.4m) in restitution and fines. Ms Underwood took over last month from Eric Schneiderman, who had opened several investigations into Mr Trump, but resigned amid allegations of sexual misconduct. town) A.G. Eric Schneiderman, are doing everything they can to sue me on a foundation that took in $18.8m and gave out to charity more money than it took in, $19.2m,” he tweeted. “I won’t settle this case! The Trump Foundation called the filing “politics at its very worst” and said the charity had $1.7m remaining, which the attorney general “has been holding hostage for political gain”. “The acting NYAG’s recent statement that battling the White House is ‘the most important work [she has] ever done’ shows that such political attacks will continue unabated,” the spokesman said. Meanwhile, the US Secretary of State Mike Pompeo said tough sanctions will remain on North Korea until its complete denuclearisation, contradicting the North’s view that the process agreed at this week’s summit would be phased. “President Trump has been incredibly clear about the sequencing of denuclearisation and relief from the sanctions,” Mr Pompeo said after meeting South Korean President Moon Jae-in and Japan’s Foreign Minister Tara Kono in Seoul.